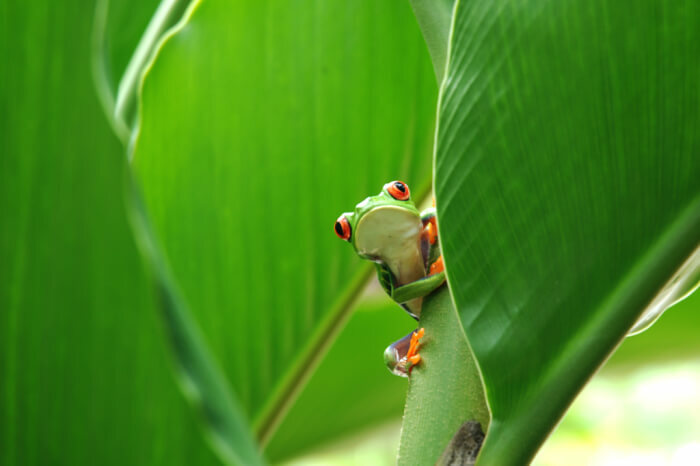 Frogs live in a variety of environments from mountains and forests to ponds and lakes. Most frogs are found in areas with warmer climates. Due to their amphibious nature, frogs exist across many areas around the world except for Antarctica. As of 2015, there are over 4,500 types of frog species around the world. Over 90 of them can be found in the United States. However, there a many species of frogs disappearing. Since 1980 over 120 amphibious species have gone extinct. Although frogs are found around the world, they generally thrive in moist environments such as ponds, lakes or poorly maintained pools.